Want to get some exercise when staying in your self catering cottage in Fife? 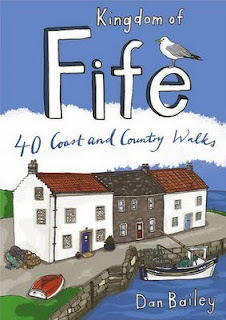 I recommend this guidebook which explores the coast and countryside of the Kingdom of Fife. It features 40 short walks in and around the Kingdom. It also travels north through Dunfermline and Glenrothes to Falkland and beyond to St Andrews, and the River Tay. The descriptions of the walks are entertaining enough to enjoy from the acomfort of your holiday cottage but help with practicalities once you're on the road as well. Great photographs and wee maps will keep you on the right path.